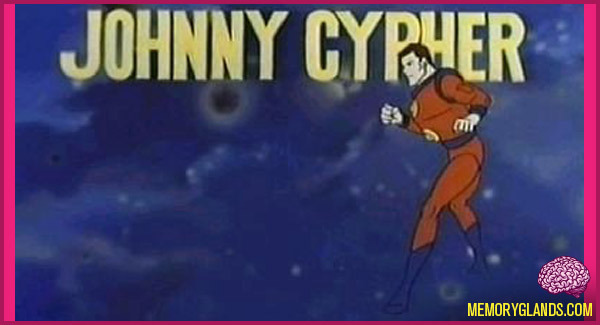 Johnny Cypher in Dimension Zero was a cartoon series that debuted in 1967. It told the story of Johnny Cypher, a scientist who had the power to travel through space and time into different dimensions, and his companions Zena and Rhom. The series was produced by Oriolo Studios and released by Seven Arts (the latter now part of Time Warner).